Ah, the desk lunch. The practice is also known as eating "al desko," which loosely translates to "the saddest part of the work day." How sad is it? There's an entire website dedicated to sharing the sad desk lunches of workers around the world: SadDeskLunch.com. 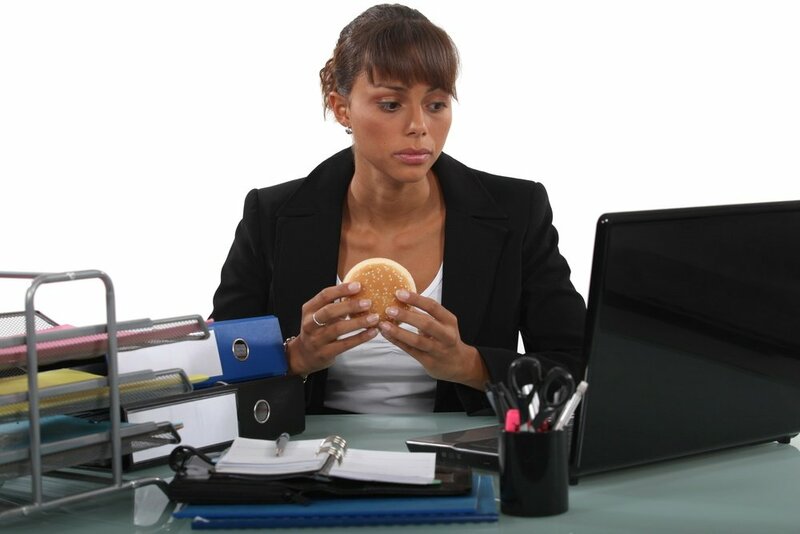 Most of us know we shouldn't sit at our desk or our workstation and eat our lunch, yet we still do it. Mainly due to a combination of being stuck in the same routine and simply not having enough time to get up and eat somewhere else, leaving us relegated to our desks, day after day. In fact, there's a chance that you're reading this while you eat lunch at your desk right now. If so, stop! Grab your lunch, head outside or to the cafeteria and leave your al desko days behind. There are a number of reasons why it's a good idea to leave your work area for a little bit and enjoy your lunch elsewhere. Whether you work at a desk, in a classroom, at a construction site or on an assembly line, these reasons should be enough to inspire a change of lunchtime scenery. "Why is my keyboard so sticky...?